As a poignant reminder that Spirit is now officially at rest in its permanent position next to Home Plate, the HiRISE team released this image today showing the sun glinting brightly off the rover’s solar panels, visible to the Mars Reconnaissance Orbiter high above. Even though it may have fallen silent, Spirit will always be in our hearts… and our sights. It won’t ever be forgotten. 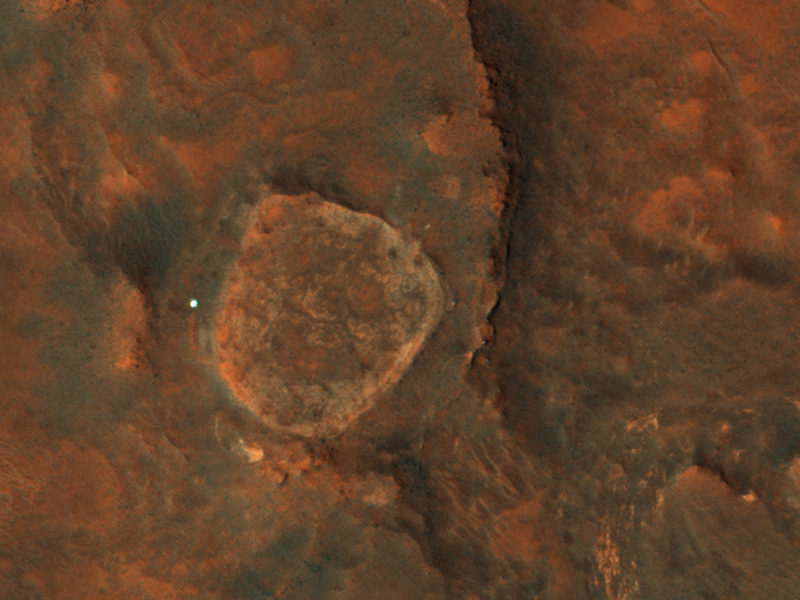 At least Spirit has a nice resting place, overlooking a crater! Actually it’s a low plateau IN a large crater.